every sort of gesture and carved from alabaster (fig. 62). Virgin, which display no less than fourteen different postures. of arms, which they cover with a cloth held up with one hand. work of Alonso Berruguete (fig. 63). ones. 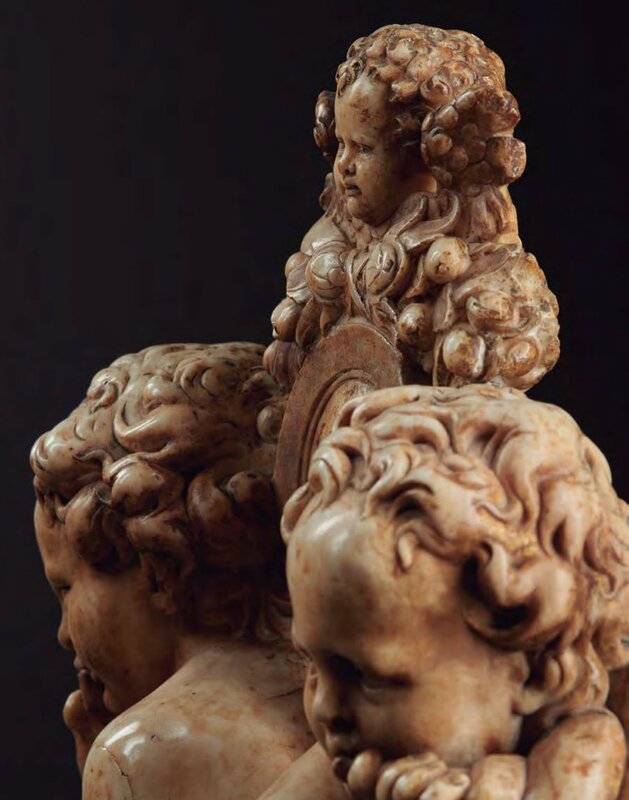 But it is the fourth pair that resemble the Putti the most. Gómez-Moreno of the Fundación Rodríguez Acosta in Granada. carry garlands of fruit and have remains of gilding in their hair. symbolized by the lyre that represents earth and heaven. of Cardinal Tavera, Hospital de Tavera, Toledo.